After graduating from Ontario High School in 1994, Dr. Tolman attended Rick's College and received an Associates Degree in Pre-Medicine. During his time at Rick's College he spent 2 years serving a mission for The Church of Jesus Christ of Latter-day Saints in Guatemala. He received a Bachelor of Science degree in Microbiology from Idaho State University in 1999 graduating with High Honors. He then attended Oregon Health and Sciences University School of Dentistry where he graduated in 2003. Dr. Tolman has been practicing dentistry in Lebanon since July of 2003 and has enjoyed getting to know the people of the local area. He is committed to providing excellent dental care to his patients by continually expanding his knowledge of modern dentistry. 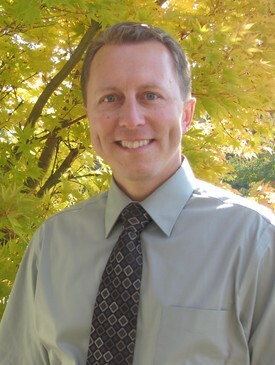 He is currently a member of the American Dental Association, Oregon Dental Association, Southern Willamette Dental Society, and Academy of General Dentistry. Dr. Tolman enjoys serving the dental needs of those in less fortunate countries, including Guatemala and Peru. Photos and video of some of his service in Guatemala can be found on our Guatemala Dental Trips page. In his free time Dr. Tolman enjoys hiking, camping, flying, fishing, and spending time with his wife and 4 children. Dr. Tolman welcomes you to his office and looks forward to meeting you and helping you with your dental needs.